If it’s your first time visiting Columbus (or if it’s been a while - this city is growing fast!) a great way to explore is with a good guide. Whether you’re a history buff, want to be active, or love a good beer, we’ve got a tour that’s going to help you figure out what Columbus is all about. The brand new Cbus Bike Tours has two guided tour options, and both include bike rentals and helmets. The 2.5-hour, 9-mile Trail Treasures tour shows off the new Scioto Mile and its 33 acres of reclaimed parkland along the Scioto River through Downtown Columbus and Franklinton. 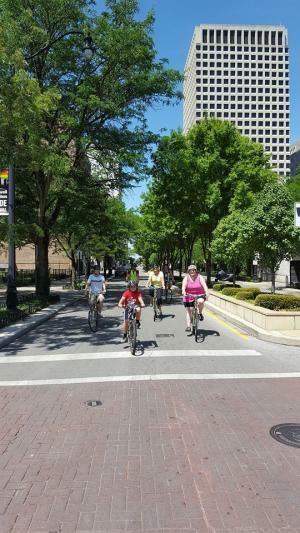 The 3.5-hour, 11-mile Classic tour gives you an overview of Columbus’ outstanding urban neighborhoods, including German Village, the Short North Arts District and Olde Town East, all using bike-friendly designated streets. Tours range from $55-65. 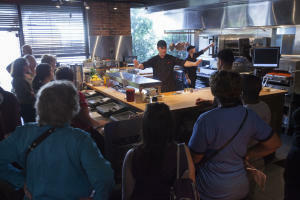 For more than five years, Columbus Food Adventures has been uncovering the hidden food gems of Columbus for visitors and locals. 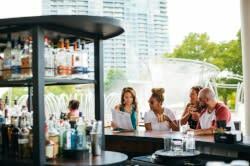 Expert foodie guides lead you to the best locations in the city for a taste and talk with chefs and culinary experts around the city. 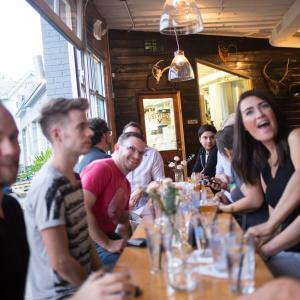 There are lots of tours to choose from, including neighborhood specific tours in the Short North, German Village, Grandview and Worthington, a popular taco truck tour, and an Alt Eats ethnic food tour. Tours range from $55-60. What’s better than brewery hopping? Getting some fun context from beer-loving guides, a designated driver, and meeting the people who make some of Columbus’ best beers. Columbus Brew Adventures offers tours in downtown Columbus, Grandview as well as tours of areas outside the city. There’s a tour that includes spirits and mead, and even one that pairs beer and pizza. Tours range from $55-$65. For the history and architecture buffs, Columbus Landmarks, a historic preservation organization, offers CityWalks every Saturday at 10 a.m. between May 21 and Oct. 29, which show participants the architectural and historic significance of downtown Columbus. With a huge variety of architecture styles, including Beaux Arts, Art Deco and Italianate, and lots of significant public art, there’s a lot to discover. Special stops include the stunning but little-visited Ohio Supreme Court and the Ohio Statehouse. The tours last 90 minutes and cost $15.